Hello Everyone! Happy Thursday! Let me introduce myself. My name is Janice Wilson. I am thrilled to announce that I have been asked to join The Scrapping Cottage design team. 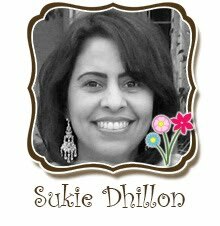 I am looking forward to getting to know the other designers and to share my designs with you. I hope that we can be an inspiration to each other and learn things along the way. Most of all, let's have FUN!! 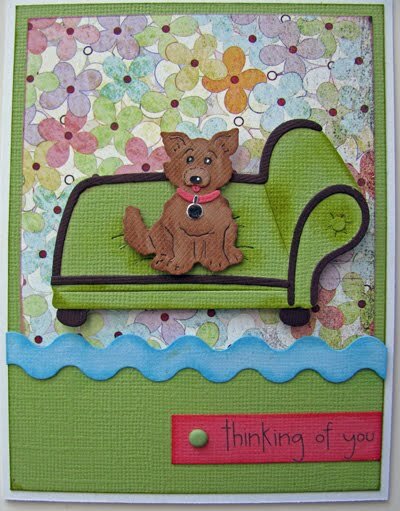 I primarily make cards, but on occasion I like to step out of my comfort zone and try something new. For today's card, I used CottageCutz Shih Tzu Peeker and CottageCutz Daisy Seeds. I had a lot of fun making this card. I love the Shih Tzu die. It is so cute! I used a couple shades of brown cardstock to assemble the puppy. I didn't have a picket fence die or a grass die so I just cut them myself. The picket fence was very easy. I cut strips of white cardstock, 1/2 inch wide. 2 of the strips were 5 1/2 inches long. The pickets are about 2 inches tall. I cut one of the points on a picket to use as a template to cut the rest of them. I cut the strip of grass, free hand. I inked the edges and the centers of the daisies with Dandelion Memento ink. I free hand cut the bone sign as well, because I don't have a bone die, yet. I used a twist tie that I stripped the paper off of, coiled each end, and used it to hang the sign. Thanks so much for stopping by. If you have any questions just leave a comment and I will do my best to answer. Have a great day! How about another fun challenge for today's WFIW post? On April 26, I did a CottageCutz Edger giveaway. We had 23 replies. 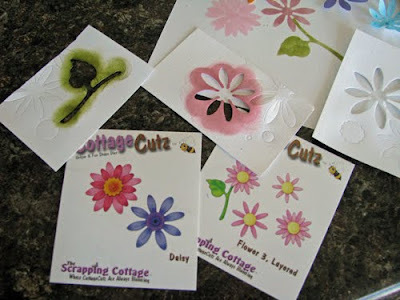 Now I want to see what everyone has done using their new CottageCutz Edgers. 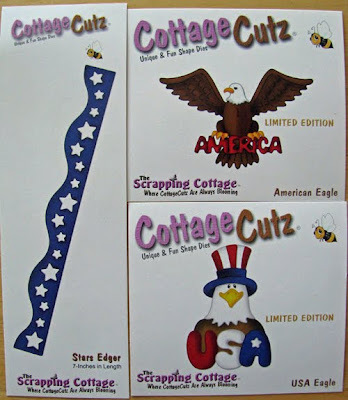 Create a card, layout or altered item showcasing your favorite CottageCutz Edger and you are entered for a chance to win a new CottageCutz Edger of your choice. 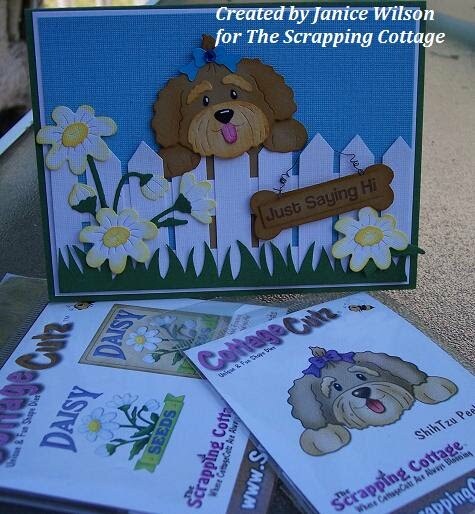 Email a copy of your card, layout or altered item within one week to scrappingcottage@cox.net. The winner will be announced in next Thursdays post(7/8/10). I played along with this challenge. 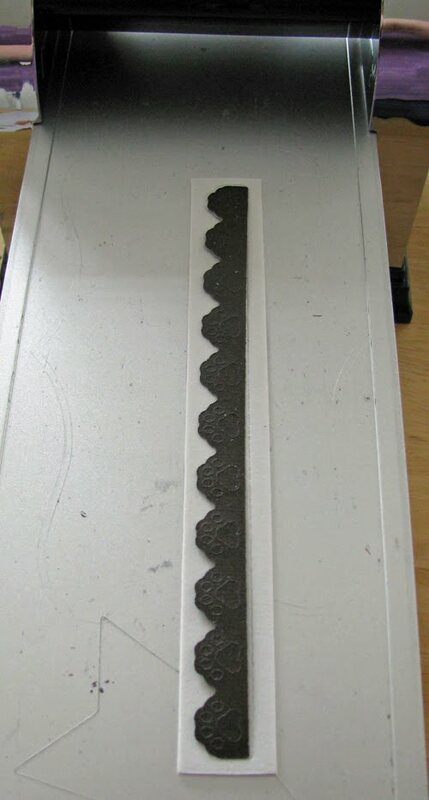 Here is my layout, showcasing this CottageCutz Edger. 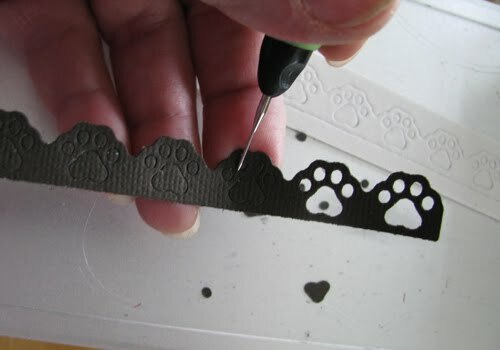 For my layout, I cut craft foam using my CottageCutz Edger die to make my own foam accents(aka Thickers). For more info on using craft foam with your CottageCutz dies, see my 6/9/10 WFIW post. I took a close up photo so you can see the dimension. Don't forget to send in your projects within one week. 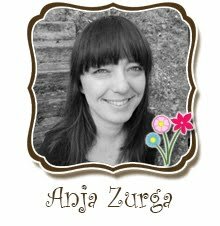 I am sad to say this is my last post, my guest design team time is up. I have really enjoyed being part of the Scrapping Cottage design team and sharing my creations. 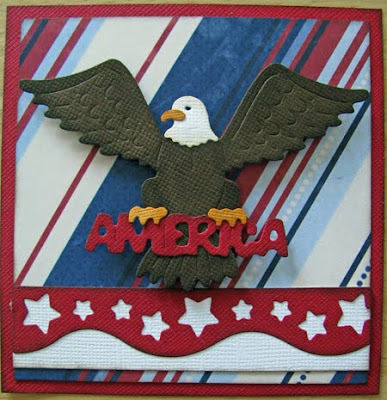 USA Eagle - both of which I used the new Stars Edger. 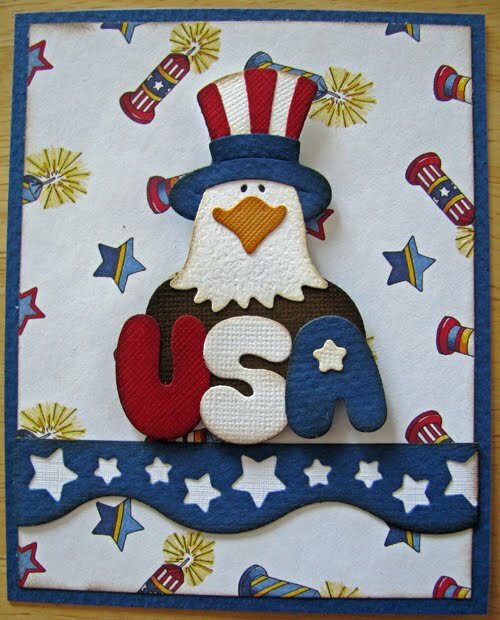 This USA Eagle can be made with or without the hat and the USA because they are separate pieces, but simple as well. This American Eagle was also simple to put together with only 6 pieces. You can use the eagle and the AMERICA separate as well. I'm excited to be able to use this die for Scout Eagle Congratulation cards as well. If you don't already have these dies, they are must have for your Fourth of July layouts and projects as well as school history projects, or trips to the historical areas of the United States or scouting pages. These are limited edition so don't wait. Who let the Daschunds out?? 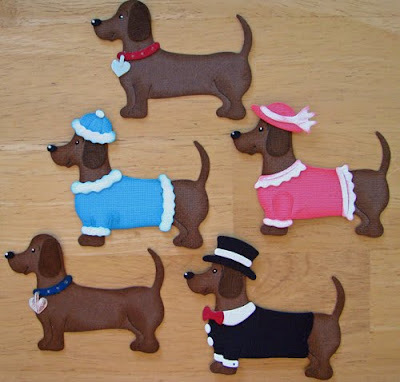 I just had to show you these cute CottageCutz Daschunds I made the other day. They are so stinkin' cute I wanted to show them off. Stay tuned, I'm off to take pictures of my two 4th of July samples I'll be posting this morning so come back and check them out. 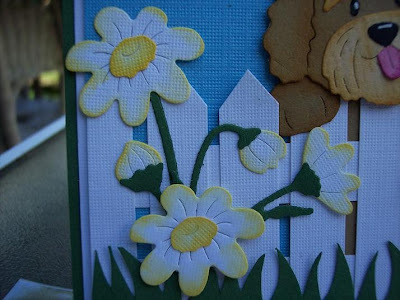 For my layout I wanted to show you some good examples of cutting different materials with your CottageCutz dies. 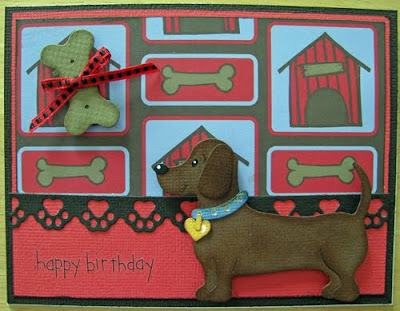 I used cork, chipboard and thin metal on this layout. 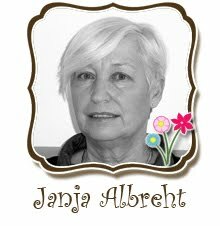 For more info on cutting different materials with your CottageCutz dies, check out my 6/9/10 WFIW post. Here is a close-up of my CottageCutz Fish. I first cut the fish out of chipboard and then thin metal, adhered them together to give some dimension on my layout. With the CottageCutz Edger I used cork to add some texture. Here is a close-up of the CottageCutz Fishing Pole. I first cut the pole out of chipboard and then thin metal and cardstock, adhered them together for some dimension. I added some sewing thread for the finishing touch. For the lures I used cardstock and thin metal. 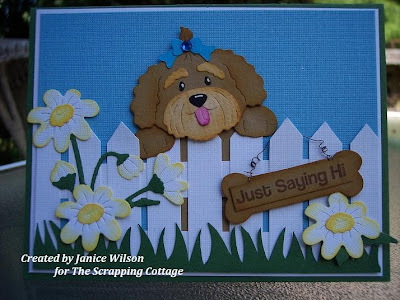 I really hope you will try cutting your CottageCutz dies with some different materials, it really adds that extra something to your layout. 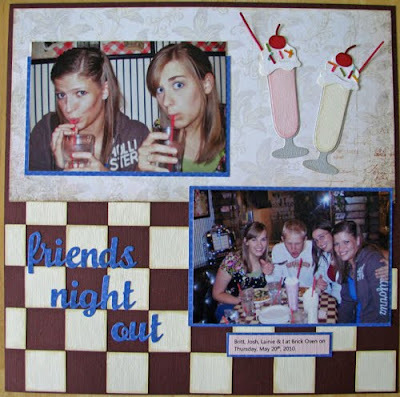 Today I want to show you some fun things you can do with your CottageCutz dies. I simply ran some white paper through my cutter with the Daisy die and then punched out just the one daisy so I could use it for a stencil. Of course this cuts out everything on the die but you don't need to punch it all out, just the one you want to use for a stencil. Then I used some ink and a dauber to sponge the flower onto my paper. 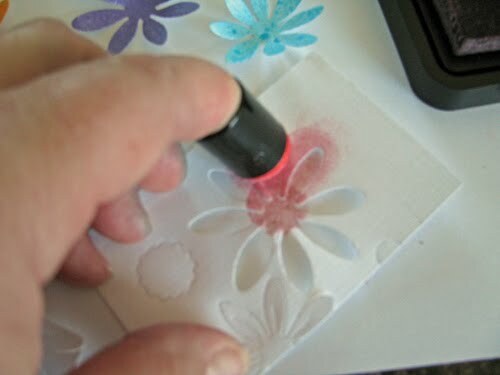 I did the same with the Flower 3, Layered die and just used the stem. 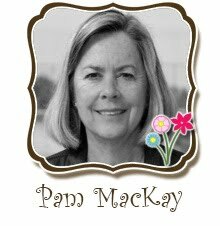 Another fun way to use your dies is to cut out the flowers from white paper and spray them with Glimmer Mist (aqua) or Smooch Spritz (purple). 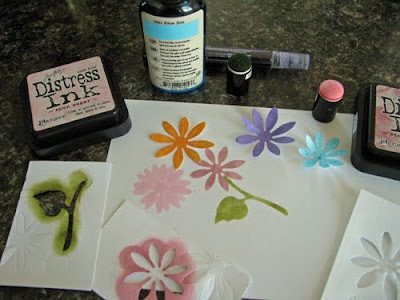 For the orange daisy I simply sponged the cut out flower with my ink and dauber. 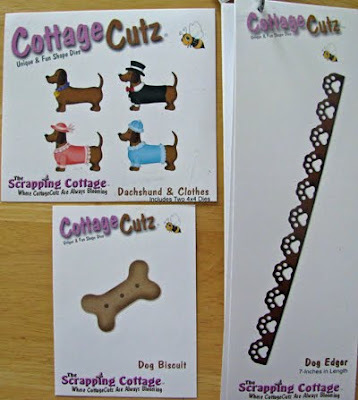 I hope this gives you a few more ways to use these wonderful CottageCutz dies. 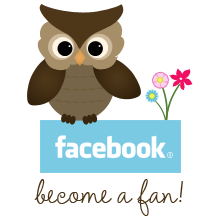 We invite you to ask questions and make comments on any of our posts. We're here to help! "I'm Listening" and "Thinking of You". We all have times when we need to send this kind of a card to dear friend and what better way then with a cute dog. Don't forget to the Edger dies, I think the Rick Rack is my favorite because I now have Rick Rack in any color I need and as much as I want! I'll see you back here tomorrow for my Watch for it Wednesday post. Check out the newest Cottage Cutz Summer Release available for pre-order now!!! Don't miss out on your chance to save now with pre-order pricing!! My best friend Buddy, The Die. . Puppy in House, by Cottage Cutz. I wanted to create a mini scrapbook look in a frame. 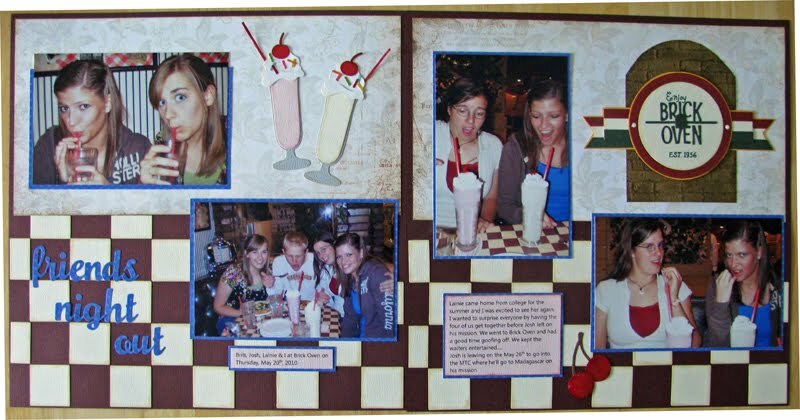 The main issues with framing a scrapbook layout is the page will not fit flat on the glass because of all the layers of paper and embellishments. I know it is hard to see, but if you notice how the plaid background does not match on the edge, that is because I cut a MAT in the same plaid background and mounted it on Scotch foam tape. This way the raised mat would create an even height on the outside of the layout. This would make the layout lay flat against the glass on the entire edge. This created a shadow box area in the center to work within. Remember this foam tape / mat frame trick for a layout page that may be causing the album to not close flat when closed. 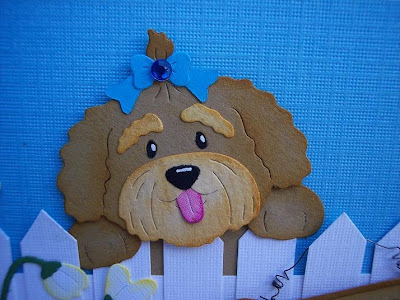 The frame helps the pages stack up better when using a lot of thick embellishments on a special page..
Now I was able to do the puppy and the house in several layers and overlaps of paper without there being an issue. Everything lays flat and does not press against the glass. The other advantage to the mat frame, is the lettering is almost floating. The top of MY BEST is glued to the mat only on the tops of the letters and FRIEND is glued along the bottom of the letters to the mat. This allowed the letters to appear as if they are floating. 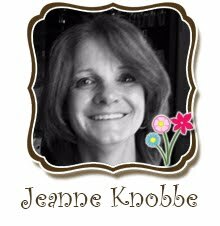 So how do I solve the dot to the "i", I would have had to stick the dot of the i to the glass or glue it down on the background, than it would not have been floating. . . . notice the cute lettering trick. . . .use the negative of letters, so I used this for the I on the friend. I did not not want the I to stick out alone, so I picked the e from best at the top. To add additional dimension I mounted the red frame for the photo behind the mat, than mounted the frame above the mat on the top. My son had the part of the Gander in the Charlotte's Web play at his school. I knew this CottageCutz Goose w/ Bow die would work perfectly to accent my page. For my layout, I pop dotted my CottageCutz Goose w/ Bow die to really make him stand out on the page. This is one of the ideas from my 6/9/10 WFIW post, about how to add dimension to a project. To give him even more presence, I placed him on top of some bright colored circles. This is a two page layout. I posted page two separately so you can see the CottageCutz Goose w/ Bow die close up. Below is the layout with both pages together. 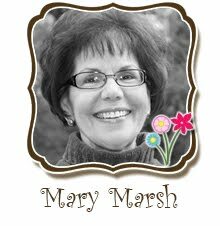 If you are interested in the CottageCutz Goose w/ Bow die, it was released with the March/Easter dies. Again I am using a simple die. . . to create a patterned background. Here I cut a ton of Cottage Cutz Fish Skeletons and randomly applied the fish skeletons to my 2 1/2" lettering. Than cut all the overlap off, remember to cut as you go, that way you may have some fish parts to use in the smaller area's. I than attached the letter to the shadow cut to add a slight color contrast, I used two different white cardstock. This took the clean white look of the bones away. Don't forget the negative of your dies cutz. Here I stacked up all the negatives and randomly . .unevenly cut around the edge to create a tile look. Started applying them to a 12" strip of cardstock. . .WOW what a great border strip, I could not stop and before you knew it I had filled a 6" x 12" strip of paper. Randomly I used the real skeleton cutout. Now I have two 5" x 6" panels to create a nice background for a card. I think this may make a nice background for a Father's day fishing card? What about hot pink cardstock with white skeletons and diamonds . . for the eyes of the fish. . wooo . . .FuFu cat card? Maybe as a wavy or school of fish across a scrapbook page? Here I used the Biscuits to create a simple border. Don't forget to break a few eggs and show a broken biscuit or two. Than highlighted the biscuits with a dark brown ink and added the sparkle with a Sakura Sparkle gelly roll pen. Remember to swirl around in the general area that you want the sparkle, than tap a couple of times with your finger to spread the sparkle. Your swirl or pen lines will completely go away. Here I started a frame with a base, than added the biscuits working around the frame to create a border of biscuits, again adding a few broke ones. I also used foam tape to raise several of the biscuits, this added a bit of dimension. Today I wanted to used a small die from Cottage Cutz called Dog Biscuit. It seems to be a simple die, but can be used to create all sorts of primary items. The first die I wanted from this Cats & Dogs release was the Dachshund. I have a niece that has a Dachshund named Cracker and they dress him up for Halloween and other occassions as well. He's such a part of their family. My sister loves this dog and wants to get her one too, so I had to have this die. There have been a few questions on the CottageCutz Edger dies that I thought I'd show you again what these dies are like. I'm showing the Dog Edger in my example. These come just like a regular die but in a 7" strip. Just place the paper over the top and cut out. You get an actual cut out of the Edger. Then for those that have punch outs I simply pop out the pieces with my piercer and put some glue on the back and they're ready for my project. Here's my card using the Dachshund, Dog Edger and the Dog Biscuit die. I chose to use the dog with the collar, but there is a second die that comes with this that has clothes that you can dress up your Dachshund. I guess this is shaped card day, I decided to create a round card for the Cottage Cutz Kitty Princess Die. The pink background is 5" and a 5 1/2" for the white shadow. This seemed to fit the kitty just right. I highlighted the kitty in grey and added a little sparkle. The pillow was done in lavender with royal blue ink highlights. The background was embossed with random diamonds to match the diamond on the crown. I randomly sewed silver thread on the edge with purple and blue colored beads, leaving loops of silver thread and with random silver tails. The lettering was done with silver glitter stickers on white cardstock that was sponged in lavender and gray ink. Than the letters were oddly cut, and attached at different levels with foam dots. 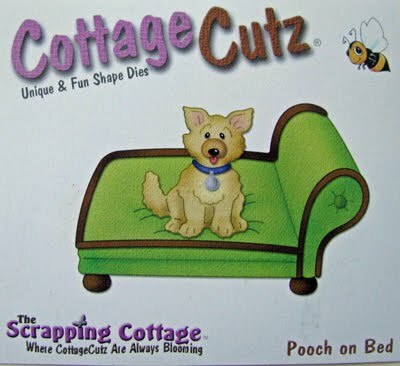 A B Wish for a friend this year has the cute Cottage Cutz Die Shih Tzu Peeker. I used a 7" B with shadow to make a card that is shaped on the front, but is regular shaped on the back. I thought having the pup peek through the hole in the B would create a cute dimension. 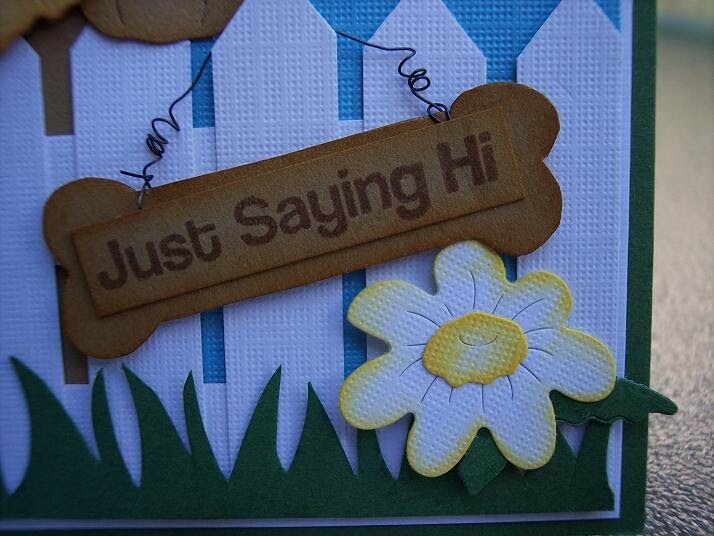 I also added the flower from Cottage Cutz Puppy front & back Die to the peekers paws. My daughter welcomed home a good friend home from college while another friend was about to depart on a two year mission for our church so they got together at a local restaurant and had some silly fun. I decided to do a layout to document this event and knew when I saw these pictures that the CottageCutz Parfait w/Strawberries was the die for this layout. As our design team has mentioned many, many times these dies are so versatile with so many options within just one die itself. I made this die into a milkshake instead of a strawberry parfait. I wanted a straw so I simply cut a skinny piece of red cardstock and did the same for the sprinkles with different colors. Then I took my Glossy Accents and went over the cherry, straw and sprinkles to make them glossy. Hope Your Birthday is Purrrrfect! Just One More Time, and He's. . . . Gone!